The market abounds in various puzzle toys and games, and many of these are designed for dogs although many cats also like many such games. You can use some of these to make your canine companion work for its dinner. Others can give a sense of excitement or fun while your dog comes upon hidden treats. When it comes to dog games, Nina Ottosson puzzles happen to be some of the best. Read on and know about some of the best Nina Ottosson puzzle toys and games to buy for your dog. It is one of the most loved puzzles. 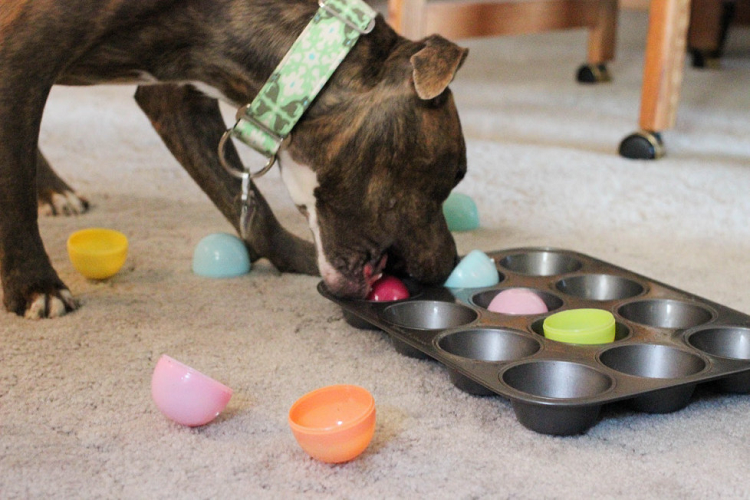 It consists of plastic bones with treats hidden beneath them. The aim is to make dogs learn picking the bones up to discover the slide and treat bones into a posture where these can be taken out. 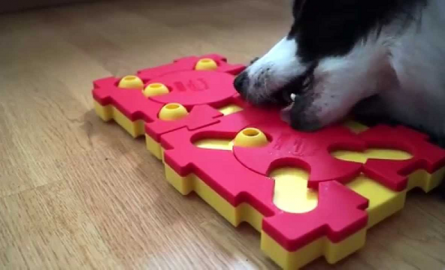 Your dog needs to move blocks in 4 varied directions in order to find the treats. In the beginning, you should create an easier puzzle with bones that do not have to slide. As time passes, and your dog gets accustomed to tougher puzzles, include sliding bones in order to step up the level of difficulty. The puzzle comes with medium level difficulty. It offers a lot of flexibility in adjusting the difficulty level. This is a highly challenging wooden puzzle from the brand. 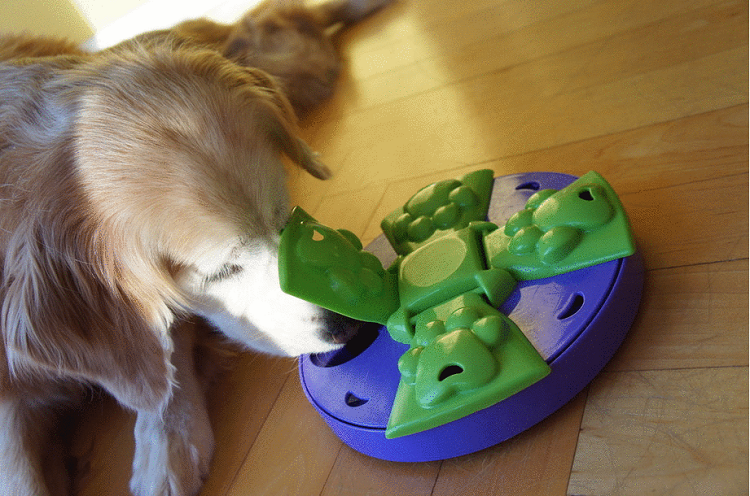 Your dog has to find out how it should move sliders for pushing treats out of holes present in the puzzle’s sides. Your dog will need some time to be an expert in this puzzle. The level of difficulty is hard. This is a mentally challenging, fun puzzle game that consists of 4 layers of rotating discs. Three of these have compartments in which treats can easily be concealed. Your dog has to find out how to use its paw or nose to rotate varied layers in varied directions to discover the concealed treats. Once your dog becomes an expert in the beginner level, you can make it more difficult by putting white plastic blocks in a few compartments. If you feel like it, you can tie a string through the block holes so that your dog can easily lift away the blocks.